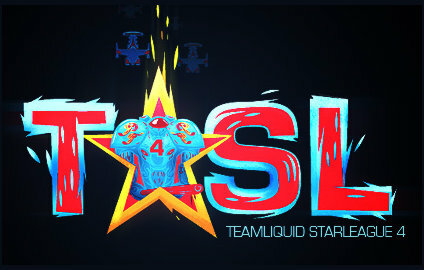 "An interesting year has passed since we sponsored the last TeamLiquid StarLeague. StarCraft 2 was released, hundreds of thousands of new StarCraft fans emerged and TeamLiquid.net went through a phase of incredible growth and development. That's why we are proud to be back and support the new tournament. We see TeamLiquid and StarCraft as what we want to be for poker: the world's best place to learn the game and talk about it. StarCraft is a beautiful game of strategy – and large events such as the TeamLiquid StarLeague help it being recognized beyond the core fan base. Click a match to view the VOD (if available) or visit the TSL3 VODs page for all VODs. 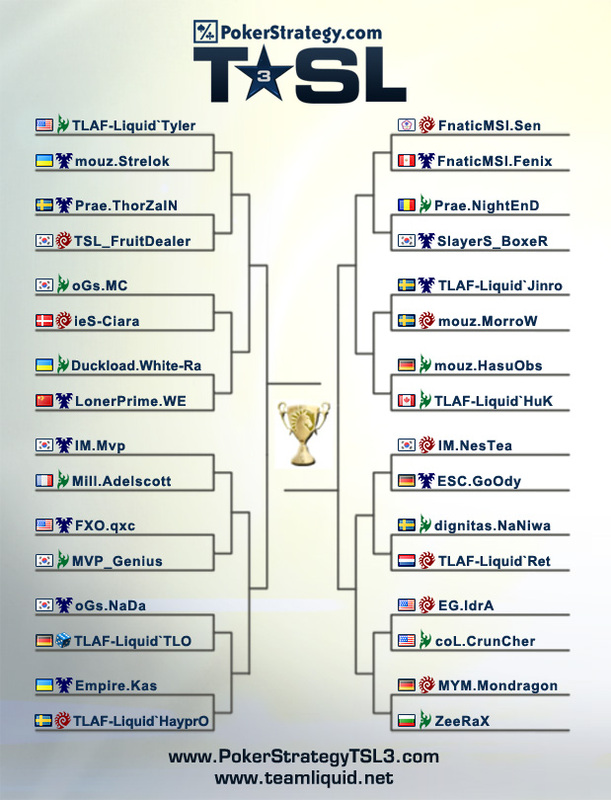 The TeamLiquid StarLeague (TSL) began in 2008 as the largest international online StarCraft: Brood War tournament. Attracting top names from all over the world, the Razer TSL 2008 set the bar for non-Korean professional Brood War tournaments. In 2009, the PokerStrategy.com TSL 2 upped the ante with a massive $22,500 prize pool, again setting a new record for the largest international StarCraft: Brood War tournament. With the release of StarCraft 2, it's time to get back to business again. 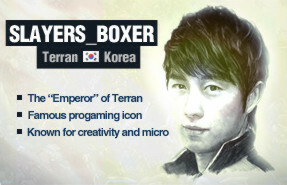 The PokerStrategy.com TSL 3 aims to be one of the largest and most prestigious international StarCraft 2 tournaments. Featuring invites from Asia and a gruelling 16 man open qualifier, the best players in the SC2 scene will fight it out for fame, glory and a chance at the $15,000 first place prize.